Taste of Baltimore: Free Sample of Oregon Chai! 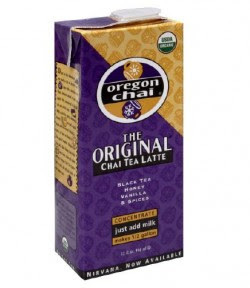 Sign up for your free sample of The Original Chai Tea Latte Mix from Oregon Chai - while supplies last, of course. It makes an 8oz serving. Just an FYI, this is the same brand that Cosi uses to make their Chai Tea Lattes!!!!! oh no! It looks like everybody wanted some free chai today, and the site crashed!!!!!!! !